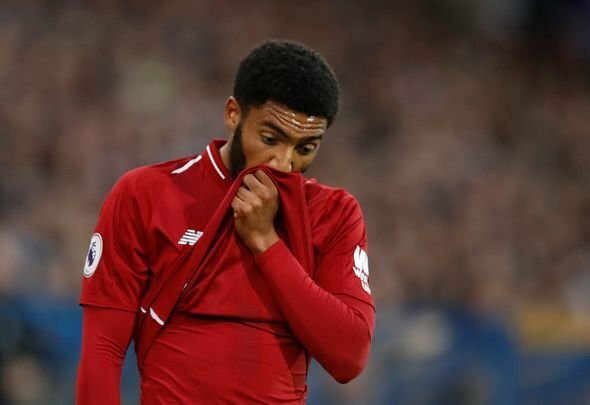 Liverpool may have come from behind to seal a good win over Burnley on Wednesday, but their evening was dampened somewhat by an injury to Joe Gomez. The young defender, selected to play at right-back by manager Jurgen Klopp, was stretchered off early in the first half with what looked to be an ankle injury, with Trent Alexander-Arnold coming on to replace him. Gomez has been in such good form this season for the Reds, and this is a big, big blow for Klopp amid a really hectic winter schedule. These fans below seem well aware of how bad this could be for Liverpool if Gomez is ruled out for a while, and they seem keen to place the blame at Klopp’s door. Admittedly it was a strange decision from Klopp to play Gomez at right-back, meaning all three of his fit senior centre-backs were on the pitch, but he could not have foreseen this blow. It’s not like this was a muscle injury caused by overplaying, so there was little Klopp could have done to prevent it really. Hopefully for the Reds the injury is not too serious and Gomez is back in no time. Playing Goméz on RB was always a crime…Now it was sadly sealed…. I blame Klopp. Don't know why he insists on playing him at RB. He plays our best cb at right back. Why not choose TAA in the 1st place. Klopp suppose to protect Gomez from any injury. Bad thinking of Klopp tonight. FFS. We shouldn't be playing all 3 of our available centre backs at once. TAA should have started.